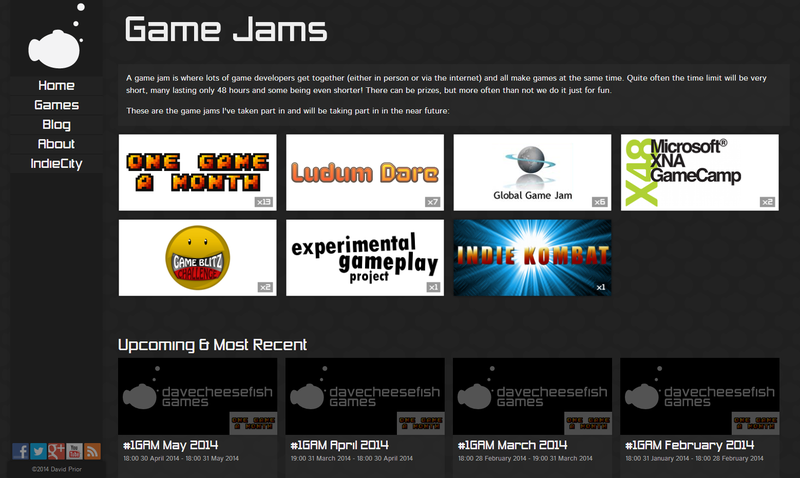 davecheesefish Games is a personal project I run in my spare time, making small games for game jams and competitions and releasing them online. The games are mostly written in C# with XNA or MonoGame, typically for game jams in as little as 48 hours. The website is written in PHP with a MySQL database. Each game project can have multiple sub-projects (such as different versions of the game, or map-making tools, etc. ), each of which can have multiple platforms and can be available in multiple stores and download locations. 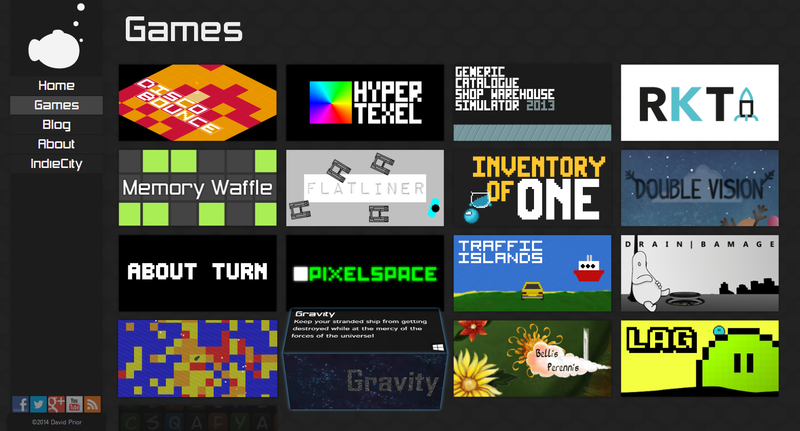 Each project also comes with screenshots, box art, descriptions, and game jams/competitions it was made for, resulting in quite a complex data storage setup. The main games listing page makes use of CSS3 3D transforms and transitions, while keeping the HTML markup semantically sound. A backup sliding transition effect is implemented for browsers which do not support 3D transforms. 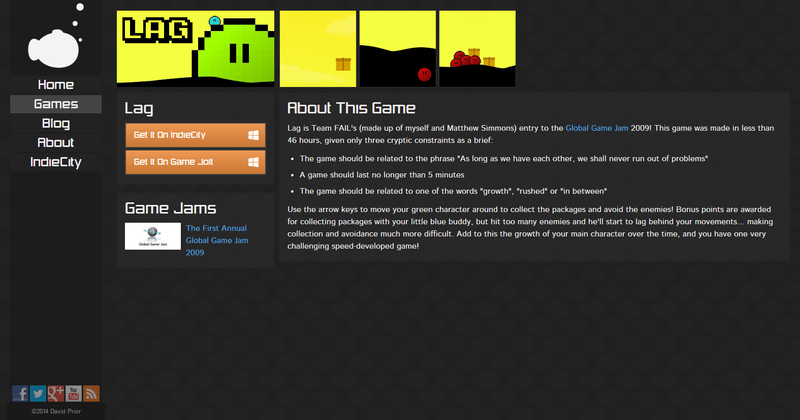 Individual game pages show the game description, download buttons for each version and store/download site. The panels at the top can be clicked on for full screenshots. 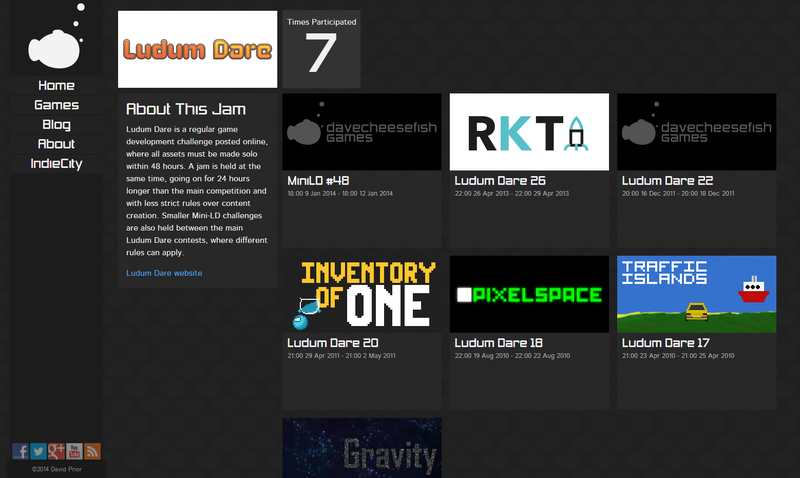 A work-in-progress page listing every game jam/competition I have taken part in, and my last few game jam games.